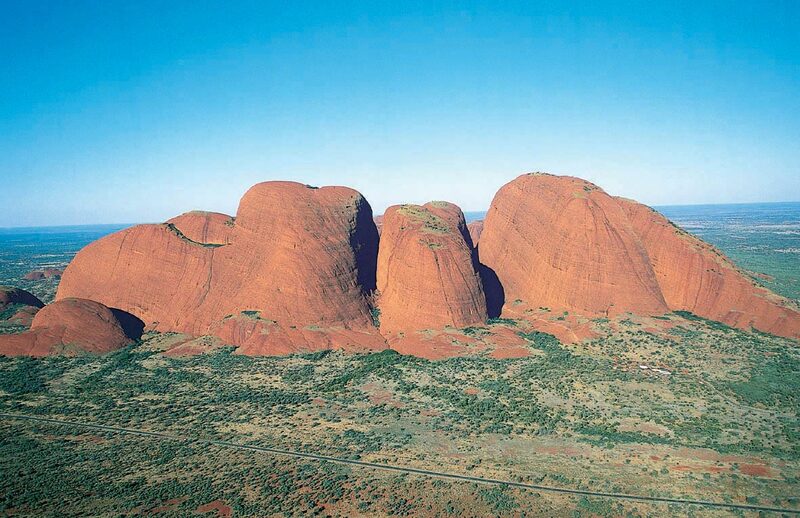 The Northern Territory covers about one sixth of the Australian continent with an area of 1.35 million km2 which is equal to the combined areas of France, Spain and Italy. About four- fifths of the Territory (1.09 million km2) lies within the tropics and the 6200 km coastline is generally flat and backed by swamps, mangroves and mudflats, rising to a plateau no higher than 450 m.
In central Australia, the Territory is crossed by the east-west ridges of the Macdonnell Ranges, which reach heights of more than 600 m. The well-known monolith, Uluru (Ayers Rock), 348 m high, is near the south-west corner of the Territory. The northern quarter, known colloquially as the “Top End”, is a distinct region of savannah woodlands and pockets of rainforest. In the north-east, the Arnhem Land plateau rises abruptly from the plain and continues to the coast of the Gulf of Carpentaria. Much of the southern three-quarters of the Territory consists of desert or semi-arid plain. Darwin, the capital is situated in the north-western corner of the Territory. Rainfall varies from an average 1570 mm a year in the far north to less than 150 mm in the south. About two-thirds of the Territory receives less than 500 mm a year. In the north, monsoonal influences produce two definite seasons known locally as “the wet” (October to April) and “the dry” (May to September). During the wet season, the coast is subject to tropical cyclones (hurricanes or typhoons). The temperature in Darwin remains almost constant throughout the year. The daily average maximum in January is 31.8 C and the average minimum 24.8 C. In July, the average maximum is 30.3 C and the minimum 19.3 C.
The Northern Territory’s population includes people of many ethnic backgrounds as well as those of aboriginal descent. In 1977 – federal legislation enabled aboriginal descendants to claim traditional ownership of vacant Crown land and today Aboriginal land trusts hold title to about 40 per cent of the Territory. Live cattle exports from the Territory supply Indonesia, Malaysia, Brunei and the Philippines. The Territory supplies beef, veal and game meats to European, American, Asian and Pacific countries. Seafood is also a mojor industry in the Northern Territory with the dominant export being Prawn fishing. Mineral and hydrocarbon production have been a major contributor to the Northern Territory’s economic development. bismuth, copper, diamonds, galena, mica, molydenum, ochre, opal, palladium, phosphate, platinum, tantalite, tin, tungsten, turquoise, rubies and wolfram. The Northern Territory’s energy resources include oil, natural gas and uranium. Oil and gas exploration and production occurs onshore as well as in three areas offshore which continue to dominate energy exploration. Because of its strategic location, Darwin is an important base of the Australian defence services. Units of the Navy, Army and Air Force are stationed there and Darwin is the site for defence communications bases. Scientific installations, mainly in Darwin and Alice Springs, are involved in a wide range of international and domestic services including defence communications, geophysics and seismology, meteorology, agriculture, animal husbandry and wildlife. 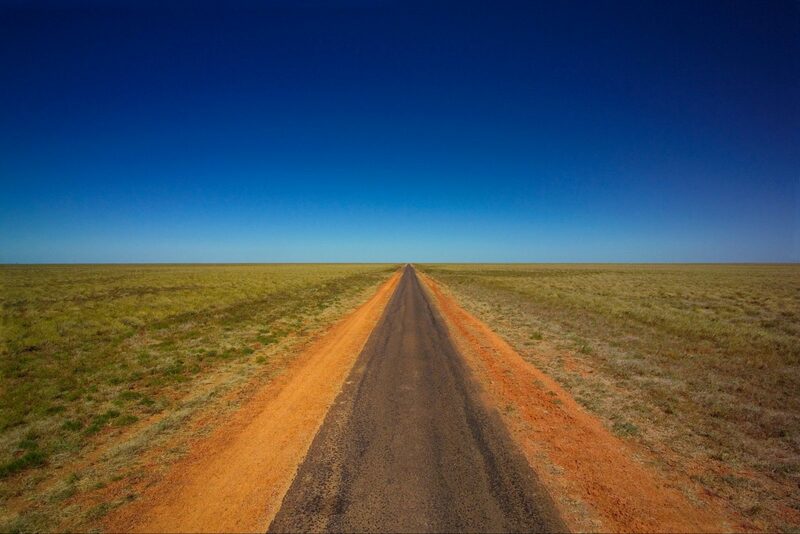 Sealed roads include the three major interstate links – the Stuart Highway from Darwin to the South Australian border, the Barkly Highway from Tennant Creek to the Queensland border and the Victoria Highway from Katherine to the Western Australian border. Darwin is a first port of call for many international aircraft flying from Asia. From Darwin there are connections to all Australian capital cities. The Port of Darwin is the foremost deep water port in the north of Australia. There are two other major ports in the Northern Territory – Milner Bay and Grove, both managed by mining companies. Tourism is one of the Northern Territory’s fastest-growing industries, In the recent years, visitor figures have increased by an average of eight per cent a year with the annual growth rate for overseas visitors was about 20 per cent. Major developments have been established from the “Centre” of Australia to the “Top End” including the Uluru (Ayers Rock – Mt Olga) Resort, the Darwin and Alice Springs casinos, Plaza Hotels in Darwin and Alice Springs, the Beaufort Hotel in Darwin and the Kakadu “Crocodile Motel” at Jabiru. Established destinations for visitors include Kakadu National Park, Katherine Gorge and Aboriginal cultural facilities provided by traditional owners at Melville Island, Kakadu, Arnhem Land, the Katherine Region and at Ipolera in the Centre. A wide range of accommodation from caravan parks to five-star hotels is available. Wilderness attractions include the Wilderness Lodge at Seven Spirit Bay on the Cobourg Peninsula and at Kings Canyon. The Conservation Commission and the Tourist Commission work together to protect the Territory’s unusual environmental and cultural resources while providing amenities for visitors. Schooling is compulsory in the Territory between the ages of six and 15.In some areas, Aboriginal pupils are taught in both English and their tribal language. The larger towns also have residential colleges for Aboriginal students. The Northern Territory University in Darwin is the largest provider of tertiary education in the Territory, offering bachelor, master and doctorate degree programs, diploma and certificate courses, general-interest programs and short professional development courses. The University’s Institute of Technical and Further Education provides a wide range of trade and technical courses, as well as programs designed to develop managerial and supervisory skills.